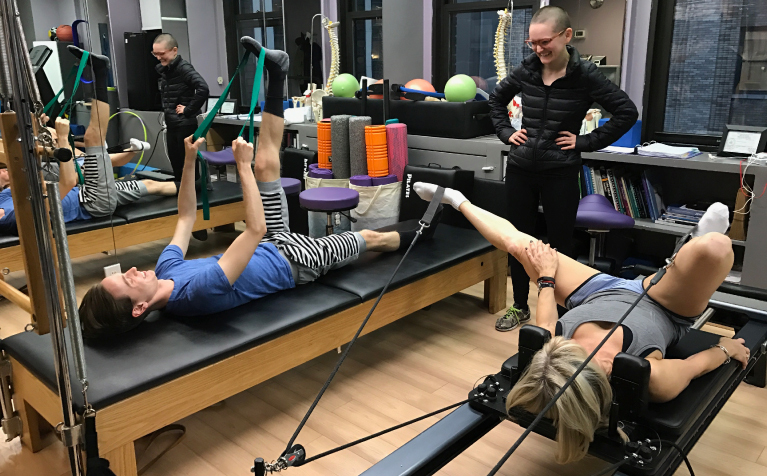 Why combine PHYSICAL THERAPY & PILATES? 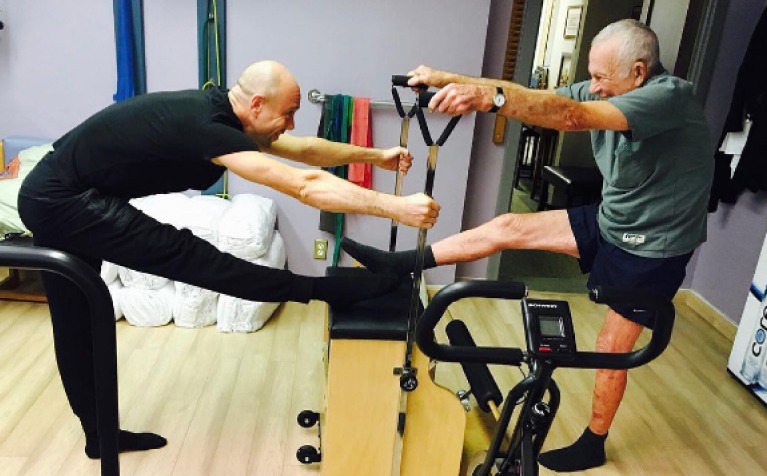 PILATES exercise uses spring-based equipment to stretch and strengthen the body from the core to the extremities. By selecting the most efficient neuromuscular coordination, the body will achieve activation of dormant or underused structures and musculature to then create a habitual and unconscious movement pattern (after perfect practice of the movement, that is) that will be more stable and more energy efficient, as well as decreasing the likelihood of injury.